Here at The Dadsnet we were curious to know what our Dads thought were the best YouTube channels for children. The Dadsnet Community was quick to respond! 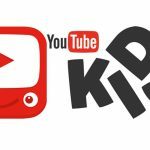 So we’ve gone ahead and collated their recommendations and placed 10 of the very best YouTube channels for kids in a list below for you to enjoy. SciShow Kids explores all those curious topics that make us ask “why?” Every Tuesday and Thursday, Jessi and her robot rat Squeaks answer questions and explain fun, complex science concepts for young, curious minds. The King of Random make videos dedicated to exploring life through all kinds of life hacks, scientific experiments, and random weekend projects. Which include making slime, playing with liquid nitrogen and posting mind bending science experiments for those Dads and kids that want to watch real science in a cool presentation format. The channel does what it says on the tin. From exploding arrows, to making instruments, molten aluminium and science/chemistry experiments – The Backyard Scientist does it so you don’t have to! With 4.2 Million Subs at time of press, there’s a huge fan base that constantly feeds in new ideas and experiments, making sure the content is fresh and exciting. Definitely a channel for those inquisitive and budding scientists! Nat Geo Kids makes it fun to explore the world with “weird, wild, and wacky videos!” Kids are urged to check back each day for a new themed video release: Science Monday, Animal Tuesday, Weird But True Wednesday, Exploration Thursday, Fun Fact Friday, Wild Saturday, and Spotlight Sunday. Videos feature awesome animals, cool science, funny pets, and more, all made just for curious kids like yours. They can also visit the National Geographic Kids website for more games, photos, and videos at http://natgeokids.com. Will It Slime wants to be “the best kids channel on YouTube”. It also claims to the best YouTube Slime channel for DIY slime. It certainly has a lot of cool and interesting slime related content. 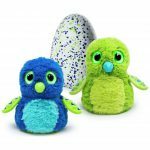 Will It Slime makes easy-to-make slime video recipes, such as Toothpaste Slime, Giant Fluffy Slime, and Giant Floam Slime. If your kid loves slime or actually, loves anything fun and weird, then they will enjoy watching this. TED-Ed’s commitment to creating lessons worth sharing is an extension of TED’s mission of spreading great ideas. Within TED-Ed’s growing library of TED-Ed animations, you will find carefully curated educational videos, many of which represent collaborations between talented educators and animators, all nominated through the TED-Ed website. That quality definitely shines through with this channel. Steve and Maggie invite toddlers, kindergarten and elementary school children – to come join them in their wonderful world of English! With content packed full of interesting, funny, interactive video clips and songs to introduce English to young learners, it promises to keep them captivated for hours on end. WOW English TV is a channel from Wattsenglish Ltd and is a happy mix of education and entertainment. Children can learn English in a very playful and natural way, through interaction with a native speaker. Tom Scott is a British entertainer, educator, YouTuber, web developer and former presenter of Gadget Geeks on Sky One. Regular series on his channel include Things You Might Not Know, Amazing Places, The Basics, and Built for Science, as well as a series warning of the future of technology. He also has regular guest presenters, all of which contribute to the highly educational content this brilliant channel produces. The Things You Might Not Know series is definitely a highlight for curious minds. The British Museum invites you to discover over two million years of human history and culture. Some of the world-famous objects featured on the channel include the Rosetta Stone, the Parthenon sculptures and Egyptian mummies. The museum is an international cornerstone of history, so this channel comes highly recommended as an educational supplement, guaranteed to fill young minds with wondrous engagement and fascination for our world’s history. Are there any YouTube channels for Kids you’d like to see recommended? Comment below! My 5-year-old son also likes Chris Fix – a channel where a guy fixes cars and narrates while he does it in a way that even someone like me (who knows nothing about cars) can understand.